"Child's play" on tour! 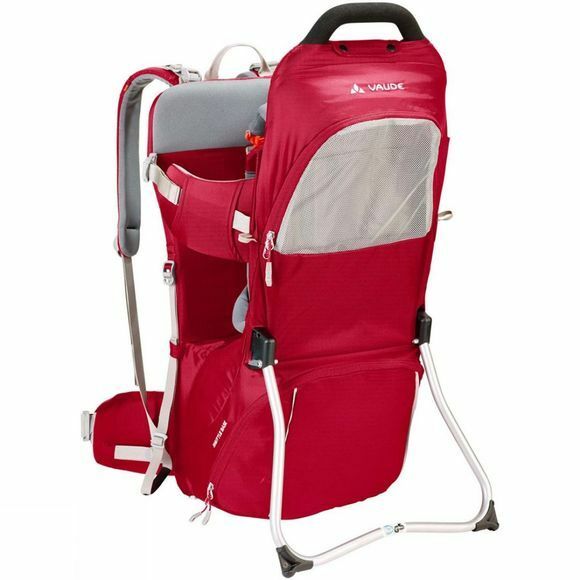 The Shuttle Base Child Carrier from VauDe is made from bluesign certified primary material saves its future owner quite a bit in terms of weight. 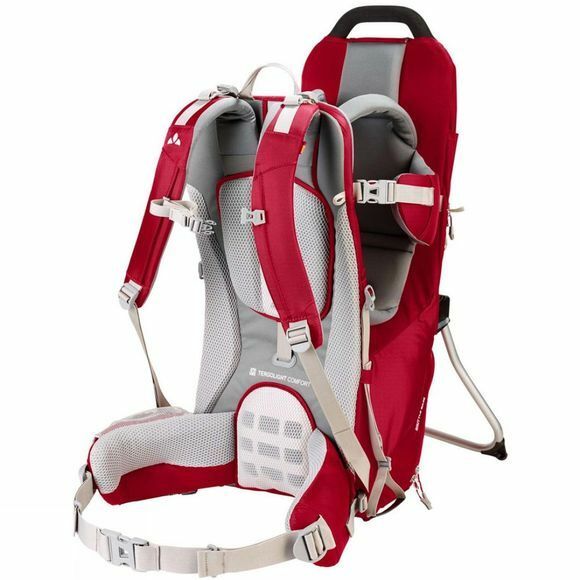 And yet it still features all of VauDe's expertise: a Tergolight suspension system and a load distributing hipbelt offers a secure and close fit to your back that's really an advantage in uneven terrain. A no-pinch stand that can be opened and closed even while being carried as well as key attachment straps that are colored bright orange ensure TÜV certified safety. The Shuttle Base basically offers everything a good child carrier needs to have: adjustable straps and belts, reflective elements on the back, roomy pockets for easy-access storage of water bottles, diapers and small gear; a large bottom compartment to store large gear such as a seat pad, jacket, toys and snacks. The side foot loops can be adjusted to custom fit the child, helping to prevent "pins and needles" so they can enjoy the outing as much as you. A sun/rain canopy, a large raincover, a washable head rest and other accessories can be ordered separately. The Shuttle Base can safely carry children up to 105 cm or 18 kg. So let the adventure begin!